For most, the mention of Yamaha won’t conjure up the image of a car. Perhaps your mind would be drawn to musical instruments, which would only be natural given that the company’s first products were pianos and organs. After all, the current Yamaha logo still references this today - it’s a trio of tuning forks. Even the Yamaha Motor Company - a separate firm since 1955 in which Yamaha Corporation is the majority shareholder - is more known for things like motorbikes and ATVs. But here’s the thing: there are some incredible joint ventures with car makers in YMC’s back catalogue, some of which might just be news to you. 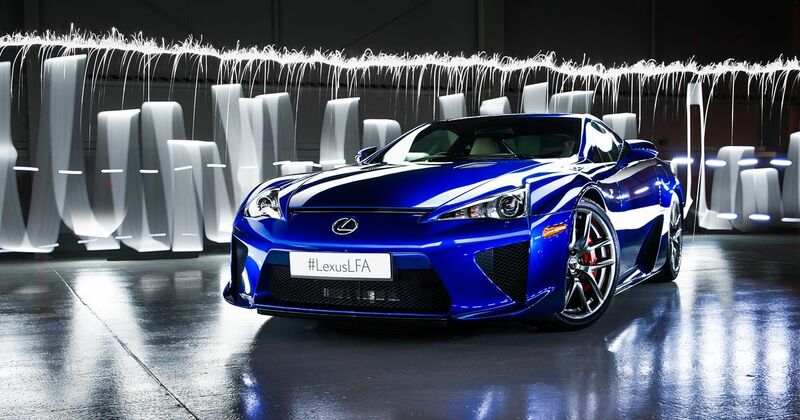 Having already made the cylinder heads for the Lexus IS-F’s shouty N/A V8, Yamaha went one step further with the LFA and designed the whole damn engine. 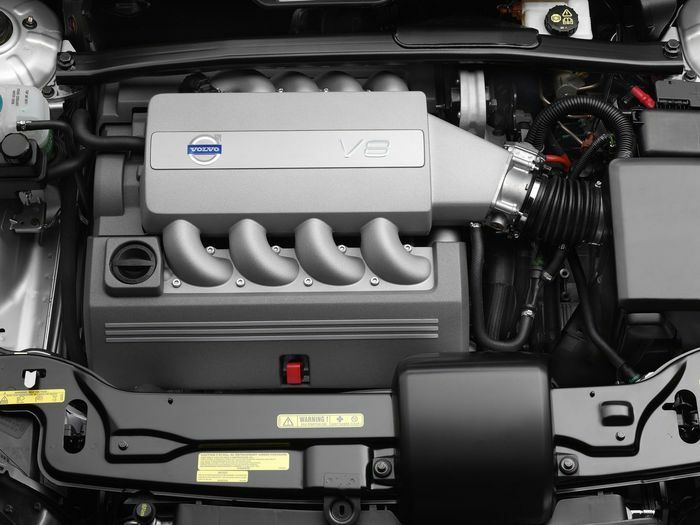 Yep, we’re talking about that glorious 4.8-litre V10, considered by many to be one of the finest road car engines ever made. There is a second Yamaha connection here too, but it’s not a Motor Company one - part of the air intake was harmonically optimised by the sound technology part of Yamaha Corporation. So, musical expertise was employed to make that V10 sound even sweeter. That’s the kind of attention to detail we like. 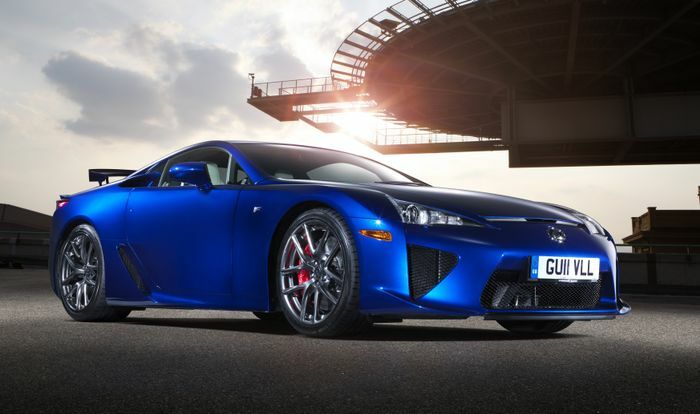 By the time the IS-F and LFA projects arrived, Toyota already had a long and rich history with Yamaha. A big part of that was the Yamaha co-developed 3S-GE inline-four engine, which appeared in the likes of the Celica, MR2 and even the Rav4. But to prevent this list becoming just a bunch of Toyotas, we’re going to focus on just one 3S-GE-engined car: the Altezza RS200. It was the only car to be fitted with the fifth and final generation of the 3S-GE unit, by then referred to as BEAMS or ‘Breakthrough Engine with Advanced Mechanism System’. Catchy. This had a variable-valve timing system, titanium valves, and a zingy 7600rpm peak power mark, at which point 207bhp was delivered to the rear wheels. Volvo’s V8 is notable for two main reasons. Firstly it was designed specifically to be mounted transversely, and secondly, Volvo didn’t actually build it - it was developed and manufactured by Yamaha. 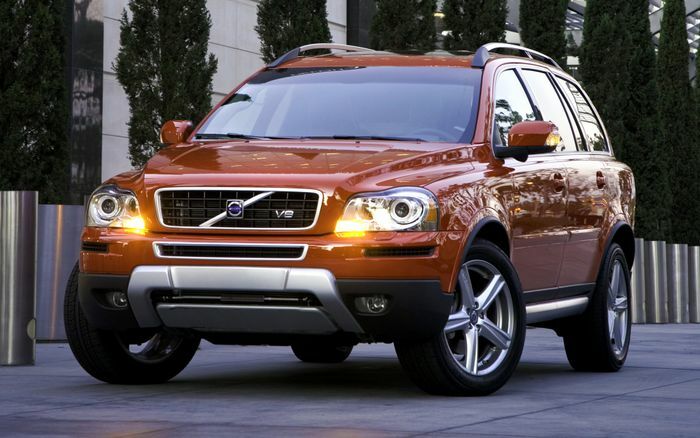 Volvo had decided that the original XC90 really needed a V8 in order for the vehicle have a proper crack at the US SUV market, but the Swedish manufacturer didn’t exactly have a lot of experience in this area. Buying an existing engine from another source wouldn’t work either, as a conventional eight-banger would eat into the XC90’s front crumple zone. Instead, Volvo went to Yamaha with its exacting requirements, and the ‘B8444S’ was born. The engine that arose from this joint venture is incredibly compact, with a narrow cylinder bank angle of 60 degrees rather than the more usual 90. The block was cast with mounting mounts for ancillaries so space-sapping brackets weren’t necessary, and Yamaha even offset the cylinder banks by half a cylinder to improve the fit in the XC90’s engine bay. The engine also saw use in the S90, before being discontinued in 2010. A heavily modified version ended up mounted in the middle of Noble’s M600 supercar. Ford turned to Yamaha to make sure the ‘Super High Output’ designation of this Taurus wasn’t meaningless, and what the Japanese company came up with was particularly special. The 3.0-litre V6 would rev to 7300rpm (but was apparently capable of going beyond 8000), and produced 220bhp - an absurd amount of power for an engine of that size at the time. In fact, this jumped-up Taurus matched and exceeded the output of multiple V8 Foxbody Mustangs of the era. Awkward. The icing on the cake? It also has a variable-length manifold that looks like it belongs in an art gallery. 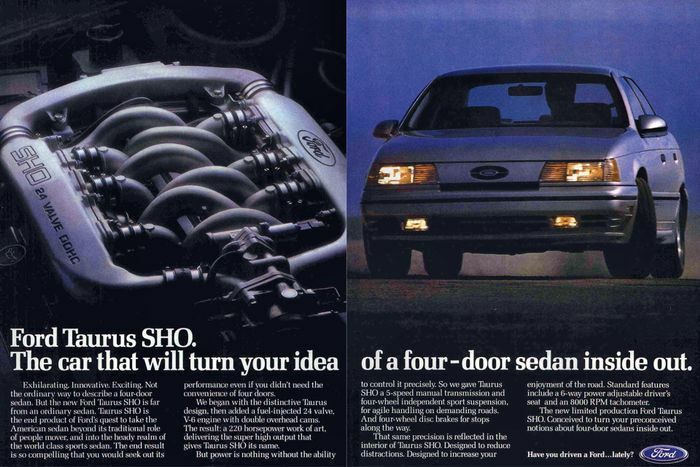 The engine was carried over to the second-generation Taurus SHO in 1992, although it was dropped for the 96-on third-gen car in favour of a 3.4-litre V8 made from a Cosworth block. But the cylinder heads? They were from…Yamaha. 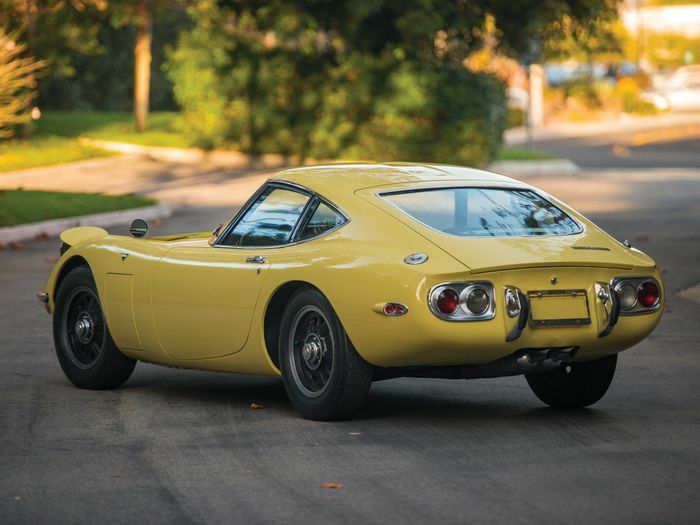 We’re going to slot one last Toyota in here because it’s a biggie: the 2000GT, which involved much more than Yamaha designing a cylinder head or even a whole engine. The 2000GT allegedly started off as a joint-project between Yamaha and Nissan, with the intention of creating a Fairlady successor. After the latter company pulled the plug, Yamaha turned to Toyota to make its sports car dreams a reality. Keen to shed its humdrum image, Toyota agreed to join forces, giving the world the 2000GT in the process. In the end, the shape was penned by Toyota’s Satoru Nozaki, but Yamaha played a major role in designing, engineering and manufacturing the car, producing 351 examples over three years.